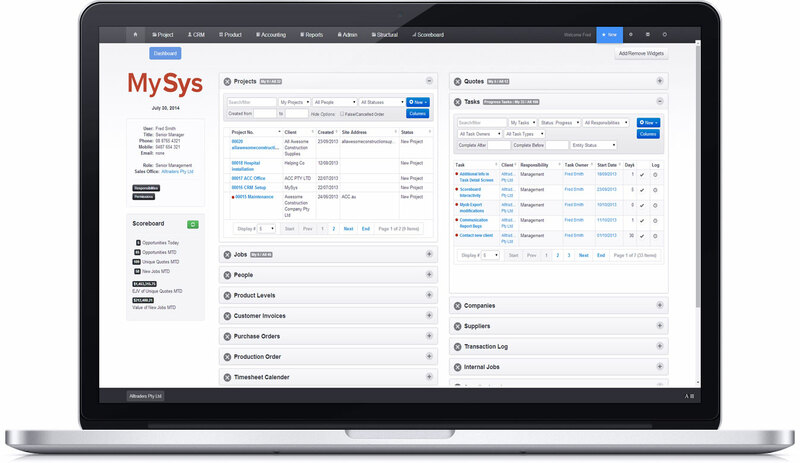 MySys allows you to put your business processes into the cloud. Any online staff member can create quotes, view stock and inventory, manage projects, create purchase orders or just check on the status of their work, anywhere, any time. 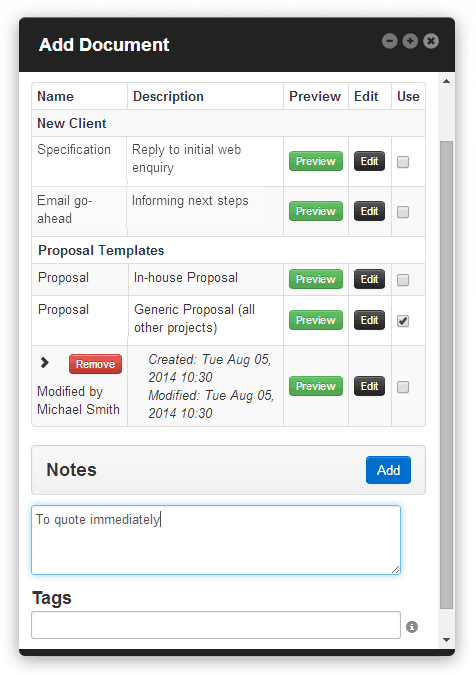 All staff have tasks automatically generated for them, based on standard company workflows. Subcontractors who perform tasks for you can also log in to an area where they can see their purchase orders and the tasks assigned to them, and by signing off on these tasks they progress your internal workflow to the next step. Customers can also log in to see their project documents and sign off on selections to move projects forward. Project managers can be in control of the tasks and workflows from a high level. Stock levels are monitored and when re-order points are reached ordering tasks are generated with suggested order quantities, which also take into account how much stock is on hand as well as allocated to projects. The cloud system is a framework but the data is your own, and the entire system could even be hosted on your own server and domain if you wish. The use of MySys dramatically improves quoting efficiency and reporting, particularly on commonly supplied items. Templates and pre-assembled 'kits' or groups of related components can be used to generate a quote almost instantaneously. The efficiency does not end there, the system will allow for managers approval (can be set up with an automatic approval on low value quotes) and emailing the quote to the client whilst scheduling and tracking the client follow up through the sales process, ensuring no opportunities are left to wither from lack of attention. The quoting system also allows for the easy creation of alternative quote options to give the range of choices a client may expect, but all tracks as one opportunity. Once the client goes ahead with one of the proposals, it can be instantly turned into an active job, with appropriate processes such as deposit invoicing and ordering automatically assigned to relevant users. The Bill of materials can be generated from the quotation item and the ordering of production or supplier items. This means that there is no double entering, and details captured at the time of sale are all on file through the rest of the project. Rather than a suite of predefined reports, MySys gives you the tools to analyse the data how you want to. Nominate what data you want to analyse, how you want it grouped or filtered and generate your own customised report. When you have a set of parameters that will be used repeatedly, save them as a predefined report that can be re-reviewed at any time. Predefined reports can be scheduled to be emailed to nominated staff members at set intervals. Have last weeks sales figures in your inbox first thing Monday. 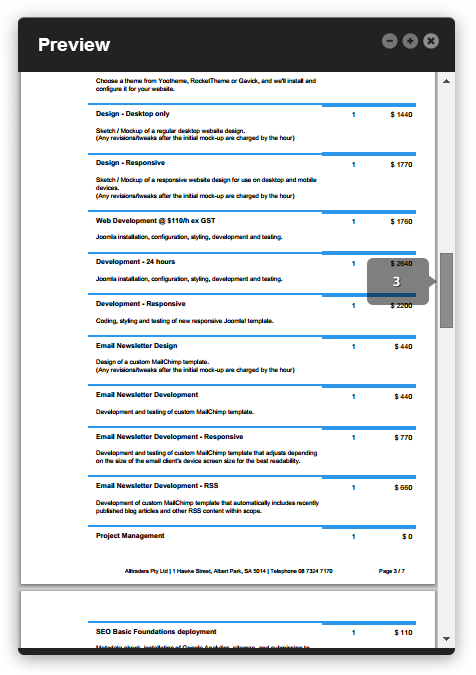 Have your sales team emailed the quotes that need to be followed up on a daily basis. Our new graphical reporting module enables you to turn your customised predefined reports into graphs and charts. A column, bar or pie chart can often paint a picture that a table of numbers just cannot. 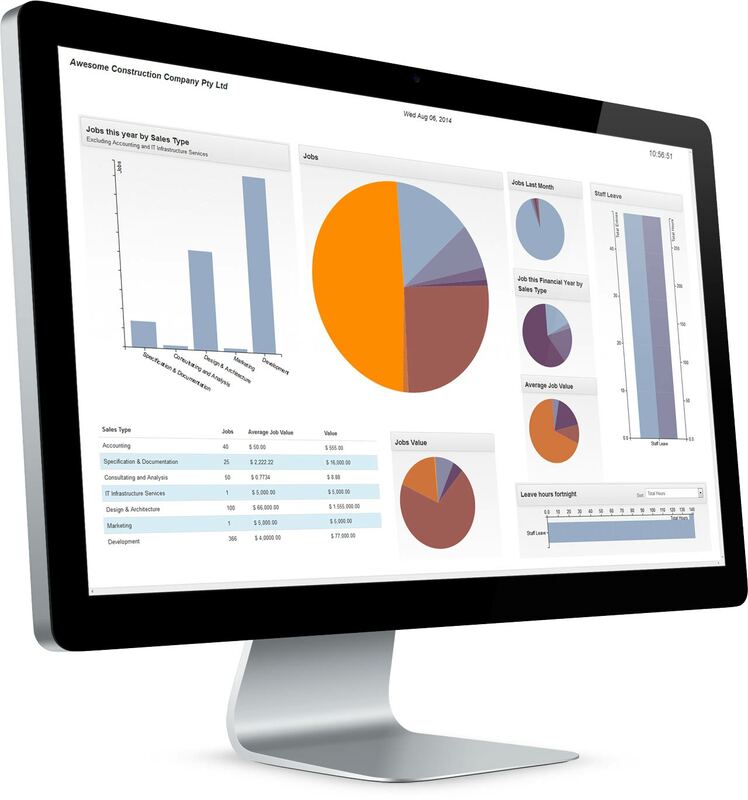 Combine several graphs or charts into one dashboard to give you a graphic view of your business from all angles. Attach your corporate documents with ease to any project or communication. Integrated storage and management of documents, simple to store, find, and retrieve. Quickly and dynamically generate professionally designed invoices from the project’s Bill of Items, with stock details automatically added or customised from the system. Create, preview, adjust and attach invoices, certificates, specifications and quotes easily to any email sent from within the system. MySys does many things that accounting systems do. However, even though it is great for automatically generating orders and invoices, it isn't supposed to be a complete replacement for your accounting system. The MySys accounting components are integrated into the tools and projects used elsewhere in the system. This means that as your normal business processes use resources or work on projects, they are recorded and used for accounts without the different departments needing to focus on accounts. MySys is setup to export data to some commercial packages for clients who prefer to keep accounting where it is. The export means that the data your existing system gets is 100% accurate and matches your business activity exactly.